4, Cartridge: Ceramic 35mm Wanhai cartridge, no leakage 500, 000 times after using. 5, Water pressure test: 0.05~0.8Mpa. 7, Payment: FOB Ningbo. TT or L/C at sight. TT: 30% deposit, 70% balance before shipment. 8, Delivery date: 45Â days after receiving deposit payment. 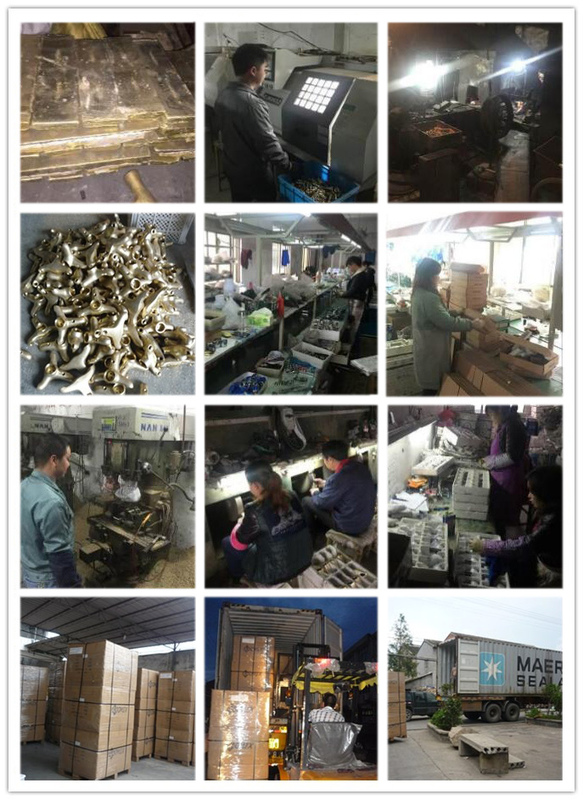 Inspection, the quality is absolutely assured. Nickle brushed, antique brass etc. 3. Competitive price with good after -sale service. 4. It can provide cold water and hot water, is a purifier faucet, overall this faucet is a Convenient faucet for family. Thank you very much for your interest in LidandaÂ products and Lidanda Company,below are few questions you may want answers. Q1:Â WhatÂ isÂ theÂ WarrantyÂ forÂ theÂ faucetsÂ ? Q2:Â WhatÂ isÂ yourÂ MOQÂ ? A2:Â 100pcsÂ eachÂ modelÂ whileÂ weÂ acceptÂ lessÂ quantityÂ atÂ theÂ beginning ofÂ ourÂ cooperationÂ soÂ thatÂ youÂ canÂ testÂ ourÂ productÂ qualityÂ beforeÂ normalÂ order. Q3Â :Â WhatÂ typeÂ ofÂ cartridgesÂ youÂ provideÂ andÂ theÂ lifetimeÂ ? LocalÂ CartridgeÂ :Â 200,000Â timesÂ openÂ andÂ closeÂ . A4Â :Â ItÂ takesÂ aboutÂ 15Â daysÂ forÂ trialÂ orderÂ quantityÂ lessÂ thanÂ 1000pcsÂ ,AboutÂ 20Â daysÂ forÂ 20ftÂ ;Â aboutÂ 45daysÂ forÂ 40ftÂ . Q5Â :Â HowÂ canÂ weÂ getÂ sampleÂ toÂ checkÂ qualityÂ ?Â AndÂ howÂ manyÂ daysÂ ? A5Â :Â YouÂ canÂ orderÂ oneÂ orÂ fewÂ pcsÂ sampleÂ toÂ checkÂ ourÂ productÂ qualityÂ firstly.Â ItÂ canÂ beÂ readyÂ withinÂ 3Â daysÂ onceÂ weÂ receiveÂ theÂ sampleÂ payment. Q6Â :Â DoÂ youÂ chargeÂ forÂ samplesÂ andÂ freightÂ ? Q7Â :Â IsÂ thereÂ cheapÂ shippingÂ costÂ toÂ importÂ toÂ ourÂ countryÂ ? Q8Â : CanÂ weÂ getÂ supportÂ ifÂ weÂ haveÂ ourÂ ownÂ marketÂ positionÂ ? A8Â :Â PleaseÂ informÂ usÂ yourÂ detailedÂ scheduleÂ onÂ yourÂ marketÂ demand,weÂ willÂ discussÂ andÂ proposeÂ helpfulÂ suggestionÂ forÂ youÂ toÂ findÂ theÂ best solution.